It is called a Garage in a Box for a reason. When you get this portable shelter, you will have everything you need for a quick and easy set up. It is surprisingly roomy measuring 12 Foot wide x 16 Foot long x 8 Foot high. 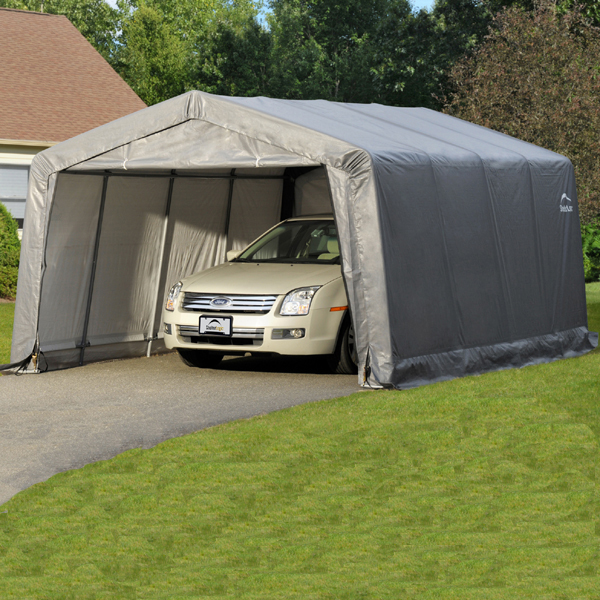 You can use this shelter to store and protect you autos, tractors, boats, yard equipment, trucks and outdoor supplies. 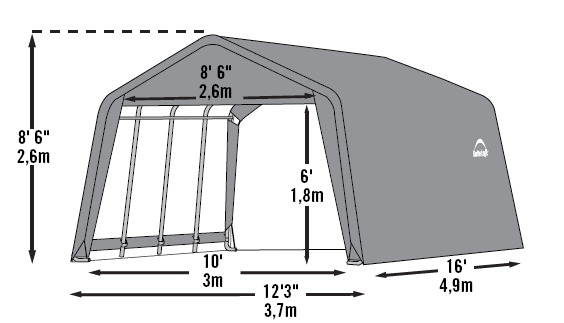 The Shelter Logic Garage-In-A-Box Peak-Style Portable Storage Shelter features a one-year warranty.